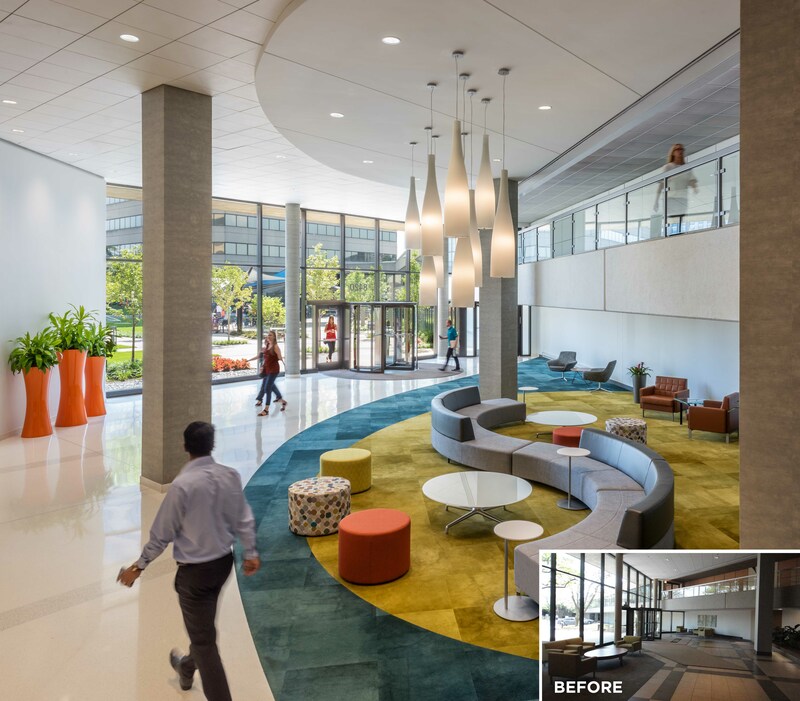 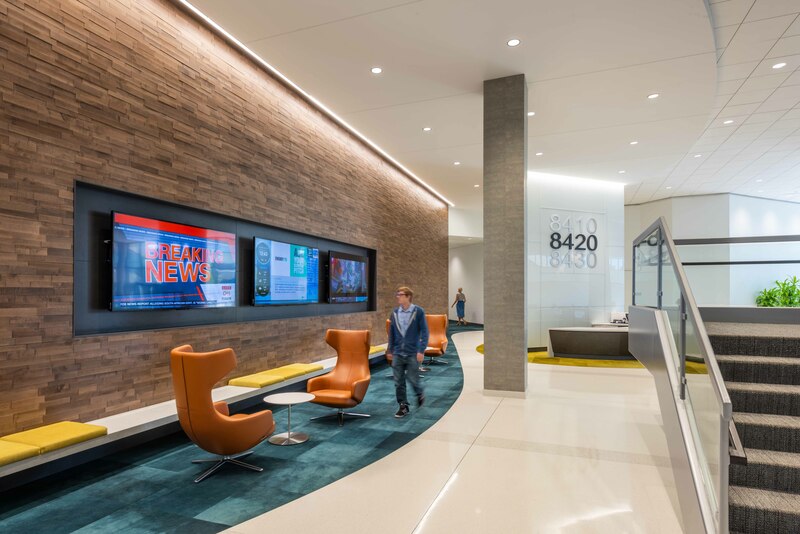 WHA redeveloped U.S. Cellular's plaza and lobby of its adjoining buildings to create a bright, large welcoming space for employees to gather. 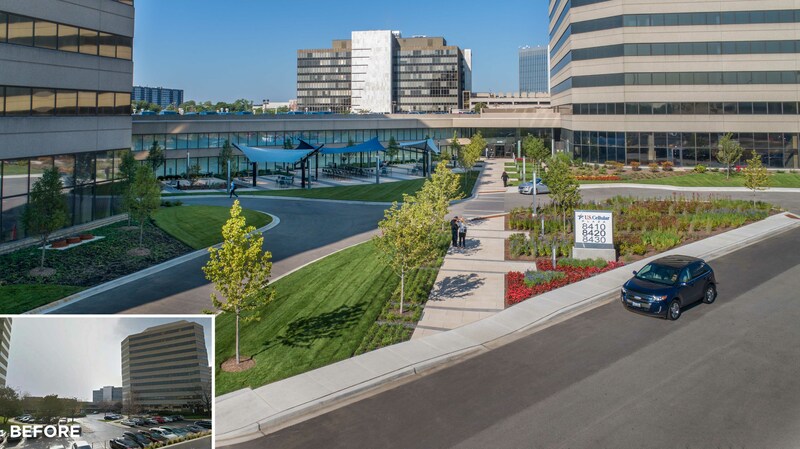 U.S. Cellular Plaza’s functionally-driven redevelopment project addressed competitive market demands and tenant needs. 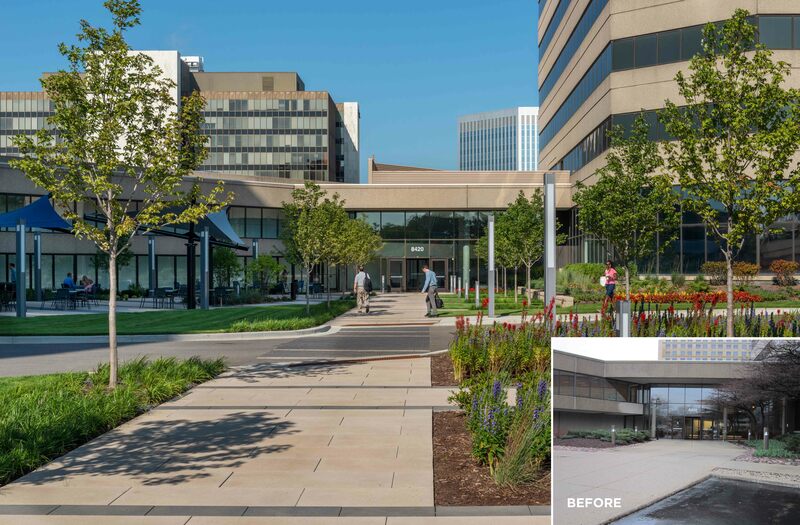 The outdoor plaza was transformed from hardscape to a pedestrian friendly experience with greenery, pathways, and furniture for individual/group use. 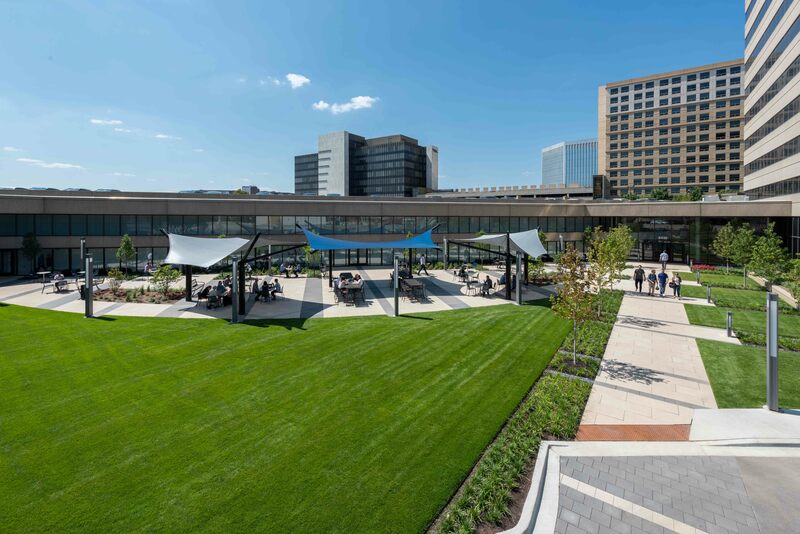 Floor-to-ceiling glass connections were constructed at ground level to provide an easy way to transfer across all three buildings and access amenities. 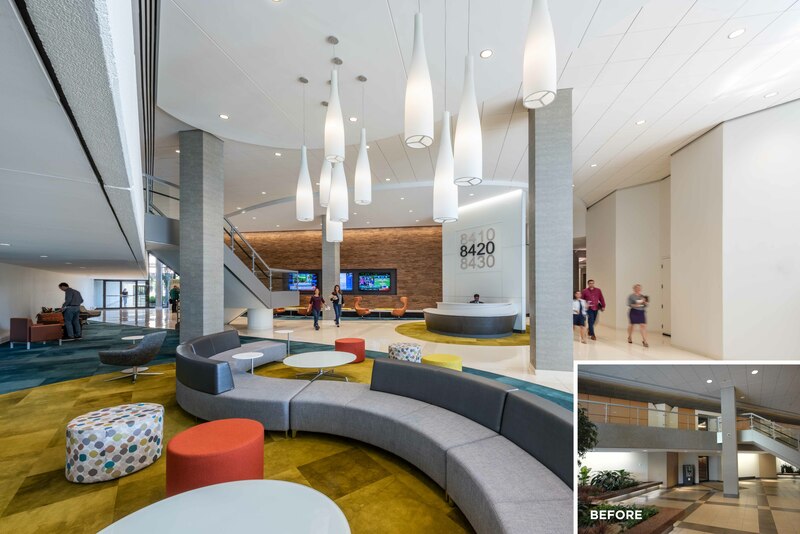 The lounge-like lobby experience was inspired by hospitality trends and includes imported light fixtures, media screens, and a guest-friendly security desk.